On this day in history began one of the fiercest aerial conflicts in history, with the men of His Majesty’s Royal Air Force flying sorties day in and day out against Hitler’s Luftwaffe in English skies. After three months and three weeks, the Luftwaffe were forcibly expelled. Had it not been for the brave Allied airmen, the world would look considerably different today. Among the members of the Royal Air Force, Fleet Air Arm and Royal Canadian Air Force involved in the aerial battles were volunteers from Poland, the United States, Czechoslovakia, Ireland, Australia, Belgium, South Africa, France, Rhodesia and Jamaica. All in all, this made for a combination of 2341 British and 595 non-British pilots flying sorties between the 10th of July, widely accepted as the official start date of the Battle of Britain, and October, when the active dueling ended. By the end of the Battle, the Allied side had lost 544 airmen (including pilots and aircrew), and had 1547 destroyed. Conversely, the Luftwaffe faced much more severe numbers with 2698 aircrew killed in action, 967 taken as prisoners of war, and 1887 aircraft destroyed over the course of the Battle. 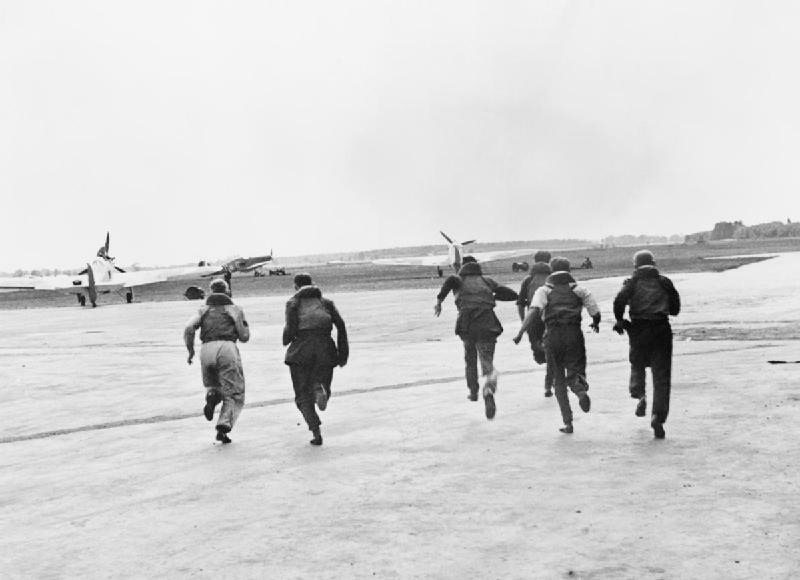 RAF pilots scrambling upon receiving reports of inbound Luftwaffe bomber aircraft.